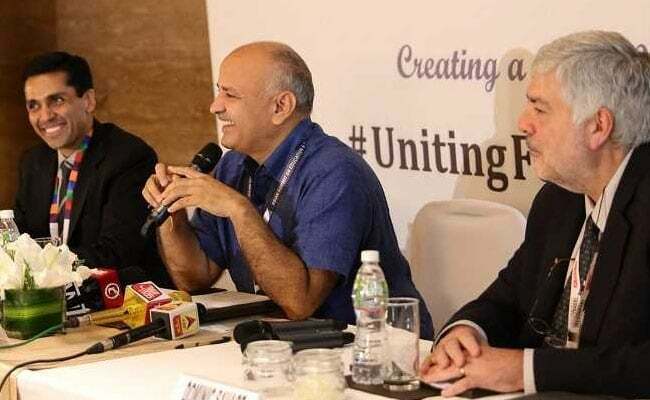 Teacher training is crucial to improve and maintain the quality of our education system especially, the government school system, said Manish Sisodia, Deputy Chief Minister of Delhi today here while addressing the 5th edition of Asian Summit on Education and Skills (ASES) and 10th edition of DIDAC India. Speaking on the occasion Mr Sisodia said, “Technology in education is another area which we need to focus on and internalise. We have to find innovative ways to make education fun and less burdensome for students”. The event was organised by India Didactics Association (IDA), an association in India for the education and training fraternity, along with other education and skill related organisations like the Ministry of Skill Development and Entrepreneurship (MSDE), Ministry of Human Resource Development (MHRD), NITI Aayog, AICTE, NCERT and National Institute of Open Schooling (NIOS) and hosted by Department of Education, Government of NCT of Delhi. Apart from Mr Sisodia, the inaugural session was addressed by Dominic Savage OBE, Director, Education World Forum and Aditya Gupta, CEO, India Didactics Association. ASES is a global annual meeting of ministers offering insights from leading education pioneers, policy makers and education experts from Asia. DIDAC India is and annual exhibition and conference for educational material, training and technology based solutions for all levels and sectors of the education and training industry.